Are you trying to find out how to teach a toddler to read? 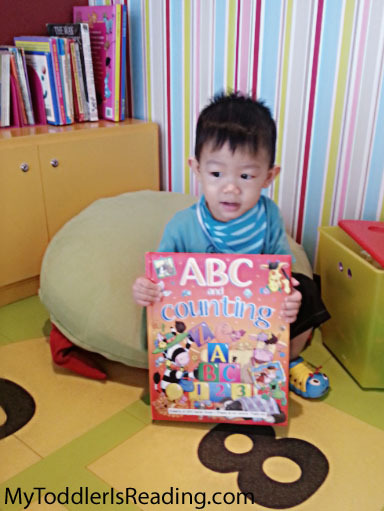 I’ll like to share with parents like you on how I’m teaching my toddler son to read, in a way that he finds it fun, stimulating and eager for his little lessons. I believe staying tuned into your tot or child’s readiness to learn reading is important. 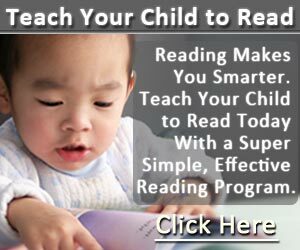 With an attentive, nurturing and caring adult who is willing to set aside little amount of time every day, it’s possible to teach a young child to learn to read at home. Sure, she can learn to read when she goes to kinder or grade or primary school, that’s how I learned to read back then, and that’s how people around me learned to read. Maybe you too. But I’ve since learned that parents have the ability to teach their young children reading. Preschoolers, when they learn reading at home, it’s through more informal instruction, and that’s where learning to read can be turned into a more fun and enjoyable learning experience. Treat it as another very fun activity to engage your child in. Very young minds are open to absorbing lots of information at this stage, so be mindful of what you’re feeding into his world. There are many methods to teaching reading and many viewpoints on when a child should learn to read. You have to decide whether you want to involve your child in early learning and reading. 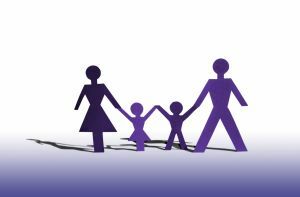 I believe as a parent, your beliefs and involvement are crucial in shaping a child’s foundation to read. If you as the kid’s parent, believes that early childhood reading is important, you would be motivated to actually go through the process of teaching him to read. Whether you want to give your child a head start or to cultivate in her a love of books and reading from a very young age, you have choices when it comes to teaching your kid to read. If your child is younger and not speaking clearly or much yet, it’s better to let her get involved with some pre-reading activities. This includes learning her alphabet and then developing phonemic awareness skill. Phonemic awareness skill is the ability to identify individual letter sounds. Some of your teaching strategies would be to start reading storybooks aloud to her and teaching her through informal play, making it fun for her. With letter recognition and phonemic awareness, your toddler would be on a great footing when she’s to start her proper reading program. Let’s remember that we aren’t in a race to push our toddler to do anything. What we want is to do is to make our child interested in learning to read and learn to be able to decode letter sounds to pronounce a word. So that even if he’s to encounter unfamiliar words in the future, he has the ability decode the words on his own. However, if he was to learn to read whole words through the memorization method, he might have a harder time to read unfamiliar words in future. With children’s short attention span, the moment you see any signs of him getting bored or wandering off, it’s time to stop the lesson and let him go off to play with other things. If he expresses the desire to continue then pick up from where you’ve stopped. If not, another time then. Maybe later in the day. That brings to another point. Anything longer and she’ll lose interest. By keeping each lesson short, it would be more enjoyable for both you and the child. With little lessons, it’s easier for you to focus on one thing and for her to digest without overloading. Keep it short, keep it simple, keep it fun. In the long run, short reading lessons are so much more appealing for you both when it comes to teaching toddlers or preschoolers. If you come across a lesson that’s longer than usual, break up the lesson into smaller parts. These are some basic tips to take note if you’re keen on teaching your toddler to read at home. 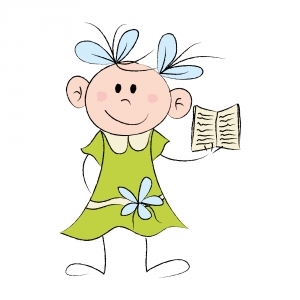 Don’t miss out checking my tips in choosing a great reading program for your child!